Special speakers for the event were Matt Amstutz, psychology and sociology instructor, and Jennifer Stemen, a behavioralist. The event was organized by Manda Schmidt, a registered behavior technologist, with assistance from Barb Morris. Various agencies from northwest Ohio connected with mental health emphasis provided information pertinent to autism understanding. A major amount of assistance was provided from Indiana Applied Behavior Analysis Institute of Fort Wayne. The institute is used to teach individuals with Autism Spectrum Disorder how to learn, communicate, relate to others and even to play. This includes extensive caregiver training and consultation for the development of individual education plans. 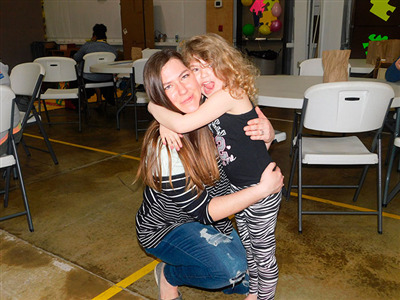 The mission of the Fort Wayne institute includes equipping parents and caregivers with tools and strategies to positively shape their child’s lives and to empower parents and caregivers to create a nurturing environment and strengthening relationships with their children. “We started getting our kids together to show that they are not disabled. We need to stop segregating them and start integrating them,” continued Schmidt. Autism, or autism spectrum disorder, refers to a broad range of conditions characterized by challenges with social skills, repetitive behaviors, speech and nonverbal communication, as well as by unique strengths and differences. It is now known that there is not one autism but many types caused by a combination of genetic and environmental influences. The Center for Disease Control and Prevention estimates autism’s prevalence as one in 68 children in the United States. This includes one in 42 boys and one in 189 girls. Some common symptoms of those with Autism Spectrum Disorders are based around social-interaction disorders, communication challenges and the tendency to engage in repetitive behaviors. They might not respond to their name, not point at objects or things of interest, not play pretend games or a tendency to avoid eye contact. They can be sensitive to needing extreme order in their surroundings and tend to be sensitive to high pitched sounds such as sirens.